Yikes! It's been a very long time since my last post. I have been working like a crazy woman and just haven't had the time or energy to post. Today's card is based on a card I saw somewhere on the internet. I liked how the image was separated, so I gave it a try. I used dimensional adhesive beneath each part of my image and liked the result. I also tried to keep my image simple and added only a ribbon accent. 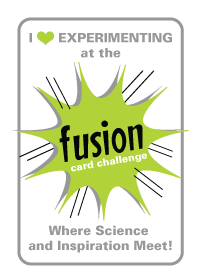 I just finished putting this card together. It will go to a family member who is struggling with some health issues. I hope it brings a bit of cheer and let's him know he is in our thoughts. 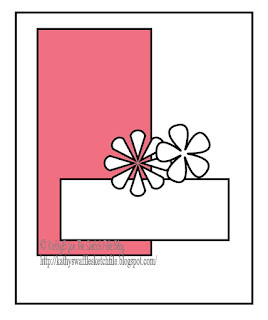 It's mid March and I'm sharing another card based on our current sketch at The Sketch File. I love that I can use the sketch as a jumping off point and Kathy never seems to mind that I tweak the sketch to work for my project. I have included two versions of her sketch below. I hope you will feel inspired and will create a project inspired by one of them. Please post your creation with us at The Sketch File. 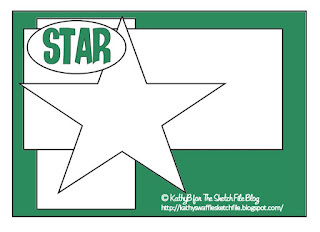 Kathy and I are always eager to see how other's use the sketch. Here we are in the middle of March already. It doesn't seem possible! 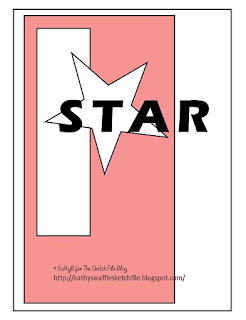 Kathy has just recently posted the new sketch for March and we would love to see what you do with it. As always, she has a few versions of it. I took a little liberty with the sketch when I made my card. 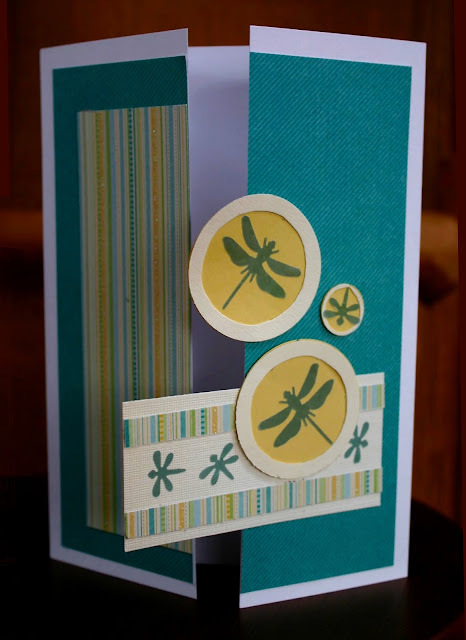 I just couldn't resist adding a third dragonfly even though I know the sketch is only showing two balloons or circles. 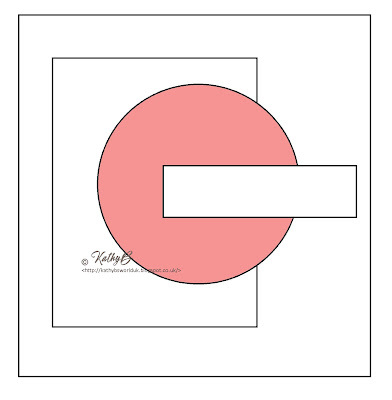 But....that's the beauty of Kathy's sketches.....we encourage you to tweak them to make them work for your project. Please consider posting your project with us at The Sketch File! 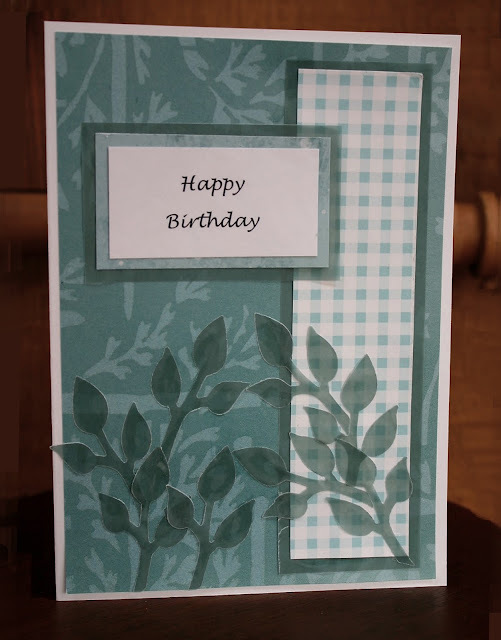 I was puttering around this morning, trying to clean up a bit in my craft room and came across the patterned papers that I used for this card. As I put the papers aside, I found myself picking them back up throughout the "clean up". 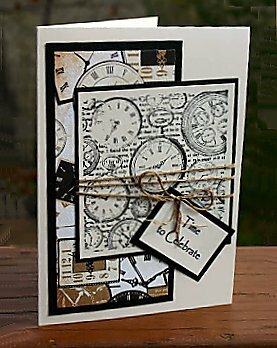 Since I was really drawn to them, I put a hold on the clean up process and reached for these papers again and created this card. I ended up layering vertical gray strips over the plaid paper at the bottom of the card and separated the patterned papers with a space covered with vellum. Because I had included a sailboat, my husband suggested that I use a blue paper instead of the vellum (thinking that the blue would represent water) but I couldn't bring myself to add another color. Now I need to finish cleaning up. 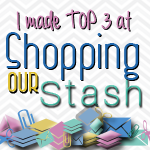 I love that I was distracted long enough to create the card, but I really do want to get the craft room a bit more organized. Tonight I am sharing another Christmas card. I am determined to create a huge pile of them so I have plenty of choices next December. Today's card is based on the current sketch at The Sketch File. 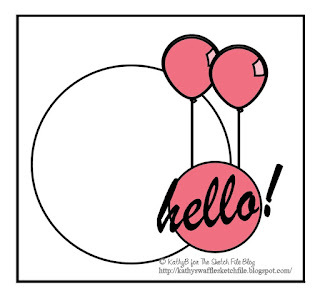 Kathy introduced a new sketch for February but I am just getting around to creating cards with it. As with all her sketches, she encourages you to twist it, shrink it, enlarge it and use if for whatever craft you please. I based my card on the "heart-version" of her sketch. Do you have a preferred version? Please let us see what you create with the sketch. 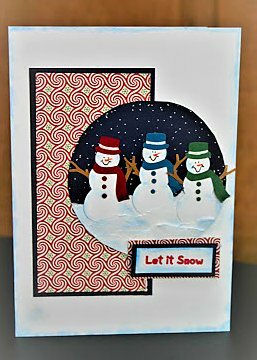 You can post your creation H E R E.
For Christmas 2017 I created several cards with handmade snowmen. I must be hooked on these little snowmen because I have created yet another Christmas card with a similar snowman. I started with a punched circle then hand cut a hat and scarf to fit the head. I used a bit of chalk to add highlights on the hat and scarf. I also cut along the bottom edges of the scarf to create a fringe. I drew the eyes and mouth, added a tiny cardstock carrot nose,chalked in rosy cheeks and blue chalk highlight on the outer edge of the head. 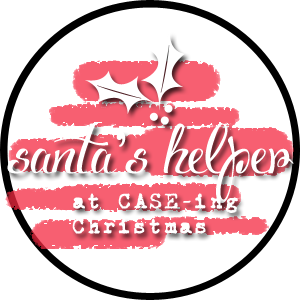 The sentiment was created with a Cottage Cutz die cut (Merry Christmas Santa). 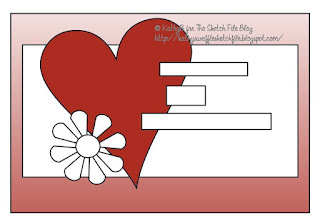 Today I am sharing several Valentine's Day cards that were all inspired by projects I've seen on the internet. IThese cards will go-to some of my co workers so they can share them with a spouse. 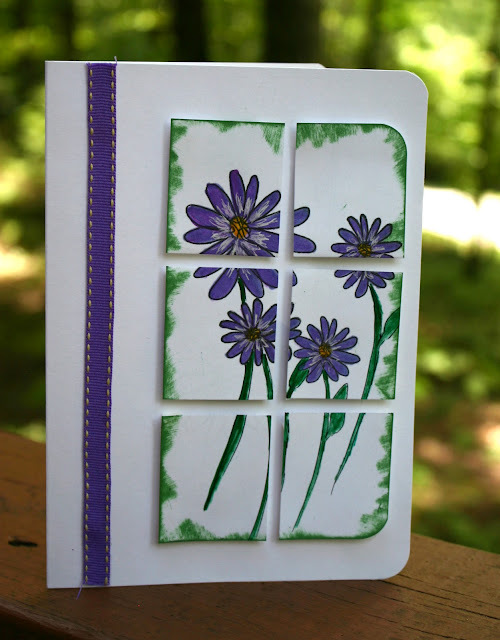 I had intended on making a card for my hubby, but as I was working on these, he kept popping in and out of my craft room. I guess I'll have to work on his later this week when I know he will be out of the house for a few hours. I have spent much of my free time this week trying to be creative. Truthfully, if I don't keep busy when I come home from work in the evening, it seems like the minute I sit down my eyes start to droop and the next thing I know I am sound asleep. It would be fine to snooze but often my snoozes get so lengthy that by the time I crawl into bed, my body thinks it's had enough sleep by 1:00 a.m and I am wide awake. So this past week, I have tried to stay awake later each evening to see if I can start sleeping through the night. I think it might be working. As I said, I am trying to be creative instead of snoozing so the three cards above are responsible for keeping me awake and encouraging a better night's sleep. Each card has a Christmas tree, but each tree is different from the others. The first tree was created with glitter glue. I simply drew stars on white cardstock, let it dry, then brushed it with green chalk. The second tree is made with bits of ribbon and the third tree is handcut from green cardstock. I used chalk to create the branches. Hope you have had a crafty week as well! Thanks for stopping by. Can anyone tell me what happened to the month of January? It has been an incredibly fast month. One minute we are celebrating the new year and the next thing we know we are headed into the first week of February! But I have to admit that it has been a great month for crafting. We had a week of with cold temperatures, so I settled in with my crafting supplies and created a bunch of cards. 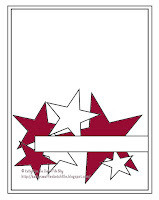 You've got to take a few moments to explore the following link: Frenchie Stamps. As you scroll down thru the post, I hope you will be inspired as I have been. Frenchie has put together a fabulous video to show us how she created wiper cards, like the ones I've created above. They are quite easy to create and so fun! I'm totally hooked! These cards are interactive. The recipient holds the left edge of the card stationary while pushing the right edge to the left. This allows the "pop up" to appear (balloons/monster in my cards). 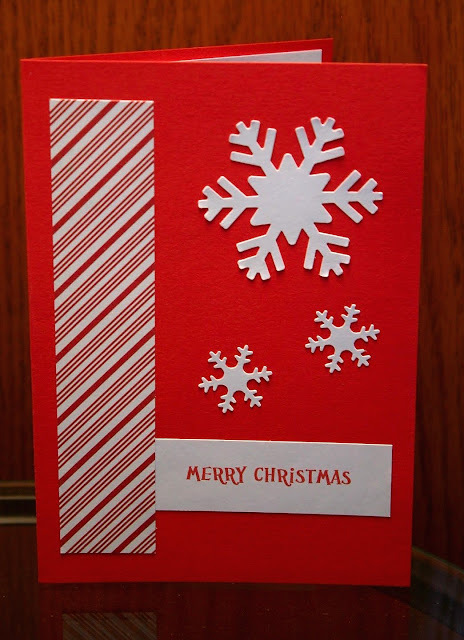 I've already made a few winter or Christmas versions of these wiper cards, which I will share in another post. If you are looking for some inspiration, there is a new sketch available at The Sketch File. 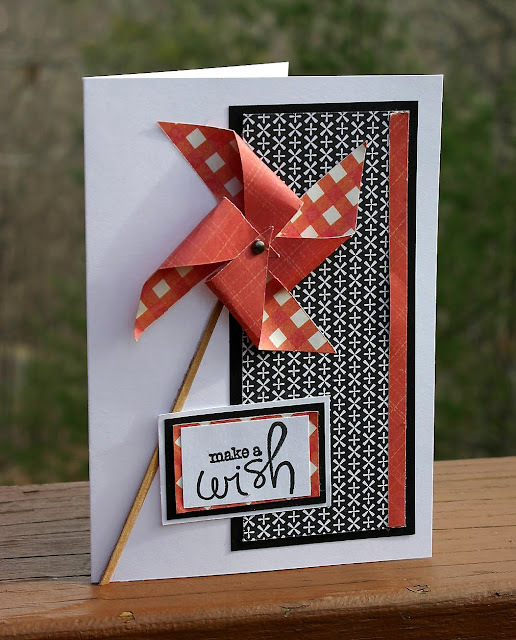 I've created this "Make a Wish" card based on the sketch. 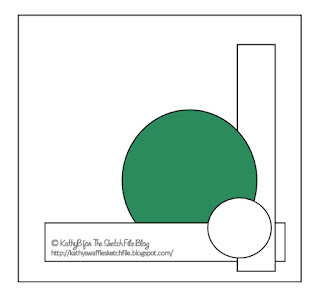 You can also visit The Sketch File to see what Kathy has created with the sketch. We would love to see what you do with it. Yikes! We are half way through December already! I've already sent out all my Christmas cards for friends and family but I couldn't resist creating another Christmas card based on the new sketch at The Sketch File. Kathy describes this sketch as "corner crossing" and I think you can see why. I've used a few boughs to meet and cross in the bottom right corner and then included two different sized snowmen to layer on top. As always Kathy has created a couple of versions of the sketch and we are looking forward to seeing what you create with your preferred version. Remember you can shrink, enlarge, rotate and make changes that work for you. 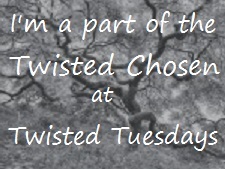 Please post your creation with us HERE. 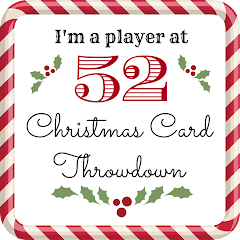 I created this card with a die that was given to me last Christmas. I love the resulting Santa image. I started by die cutting with red cardstock, then ran the die through the die cut machine with black cardstock so that I could get the boots and mittens. 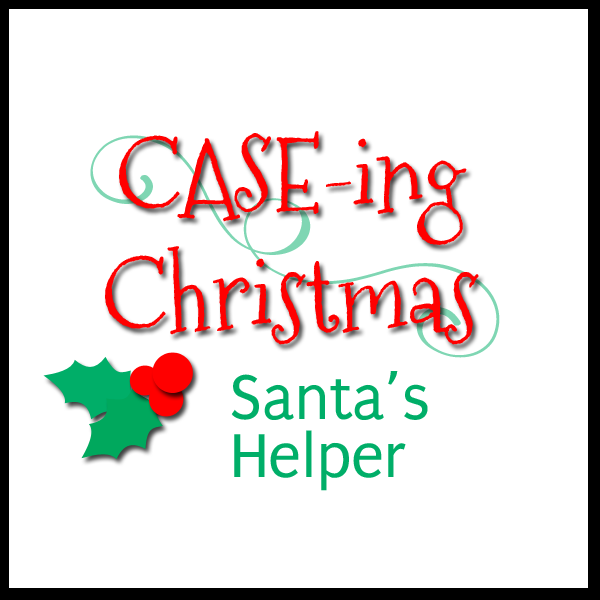 It's a fairly simple card, but I wanted to limit the details so the focal point would be Santa. I am so far behind on my posts that I won't ever catch up. I had every intention of posting this card early last week, but here it is Sunday already and we are heading into another week. As a result this will be a quick post. If you haven't already seen the November sketch at The Sketch File you can take a peek at it below. 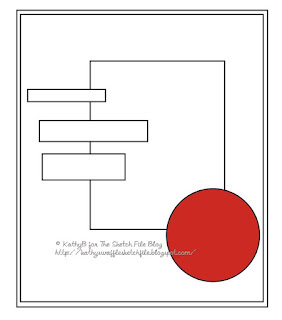 My card was inspired by the sketch and Kathy and I hope you will find time to create a craft based on the sketch and share it with us at The Sketch File. 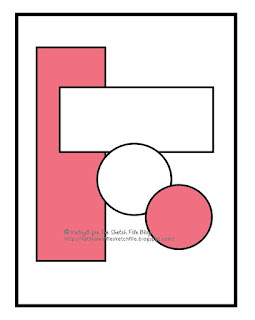 Remember you can rotate, flip, shrink, enlarge and have fun with the sketch. I have been wanting to create a card with a snow globe as the focal point and I have finally done it! My snow globe started with a punched dark blue circle and then I added pine trees, torn paper snow and a deer image. For the falling snow I added tiny punched white circles. I added a few at the bottom next to the deer so that it would like the globe had been shaken and there was snow accumulating on the ground. I layered a thin piece of clear acetate over the top of the entire scene. It is supposed to represent the glass. I ran a piece of white cardstock through a crimper and then cut it into the shape of a lid. I think I was trying to create more of a DIY snow globe image, (sort of like the kind of handmade snow globe many of us created from a jar when we were kids), but now that I am looking at it, I wish I would have used a more elegant, wood like base. Oh well, maybe next time. 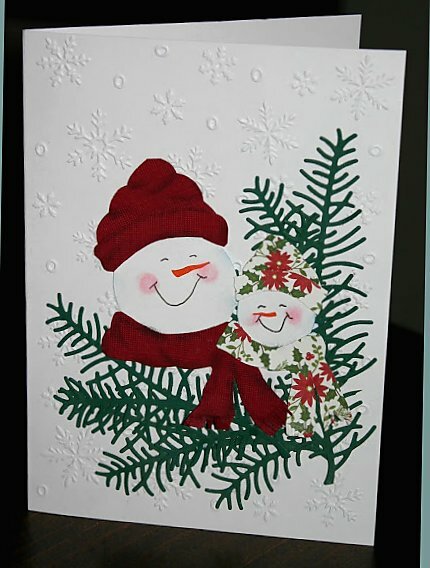 I had such fun creating this snowman card. I hand-cut the scarf and hat out of cardstock and added detail with chalk and marker. The snowman head started out as a white punched circle. I added a paper carrot nose and used a marker to draw the eyes and mouth. I only included the head of the snowman and I think the end result works well with the snowy background. 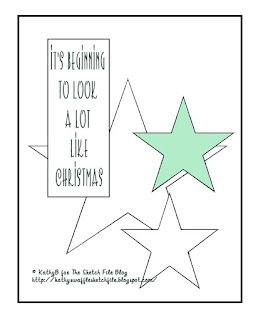 I have been working on a few Christmas cards during the past few weeks. This snowman card is one more to add to my collection. I made the snowman with two different size circle punches, added a bit of detail including eyes and mouth drawn with a marker, a paper carrot nose, paper buttons and cut the arms from brown cardstock. The hat and scarf are also hand made. I added detail to them with chalk and a marker. I chalked in the rosy cheeks and used chalk to add highlight to the hat and scarf. I'm back with another card that was inspired by the November Sketch at The Sketch File. This card ended up being more detailed than I had originally intended. 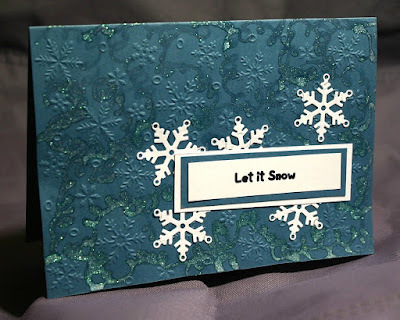 I had dry embossed the background with snowflakes and started adding the white snowflakes. I used liquid glue to adhere the snowflakes and a bit of the glue got away from me. It made a bit of a mess, so I added glitter glue between the embossed snowflakes to cover the mess. To be honest, I dislike the card. It just feels overly decorated. Please take a look at he sketches below. 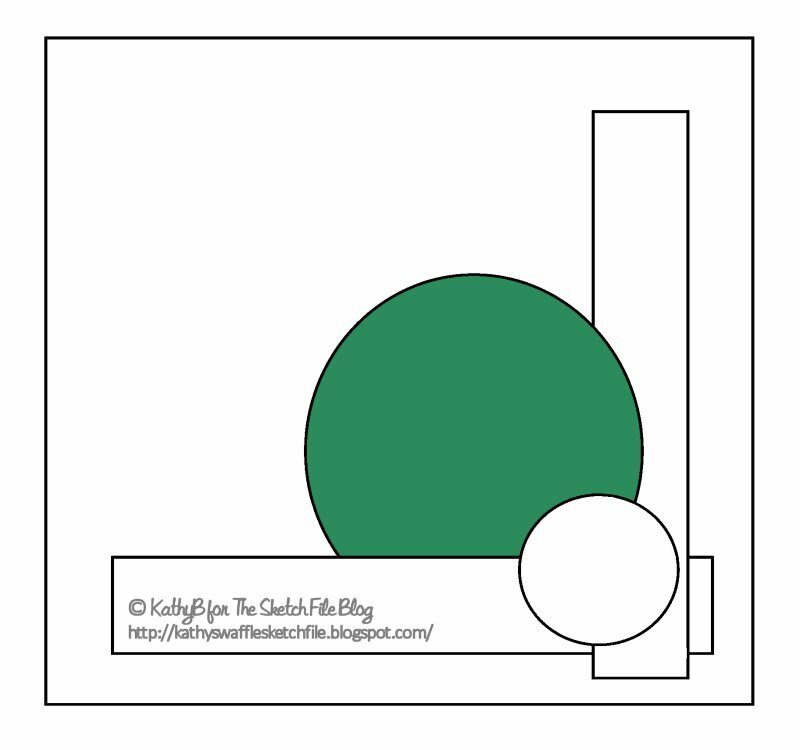 If you feel inspired, I hope you will hop on over to The Sketch File to post your creation. Since we are starting a new month, we are introducing the November sketch at The Sketch File. Please take a few minutes to create a project based on the sketch and post it with us. 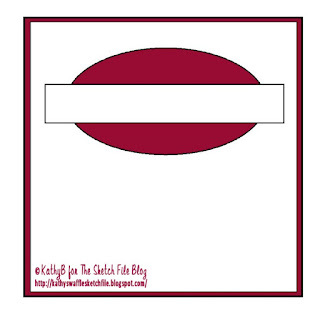 Also, if you hop on over to The Sketch File you will see where Kathy found inspiration for her sketch. Happy Halloween! I know I should be posting a Halloween card but I rarely send them out. Since I send a lot of Christmas cards, I decided to use our current sketch at The Sketch File and create this card to add to my growing Christmas card stash. I limited the color scheme to red and white and slipped in a few snowflakes. It's a clean and simple card and lately that seems to work for me. I wanted to take a couple of moments to share a card I created that was inspired by our October sketch at The Sketch File. The sketch emphasizes the sentiment, so that's where I started. 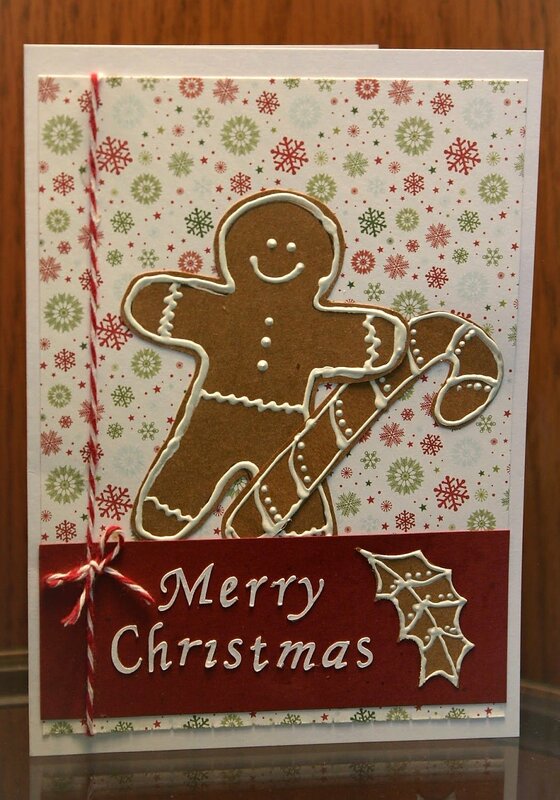 I used my Cricut machine to cut the sentiment from white cardstock then punched a few holly leaves and handcut a gingerbread man and candy cane from brown cardstock. 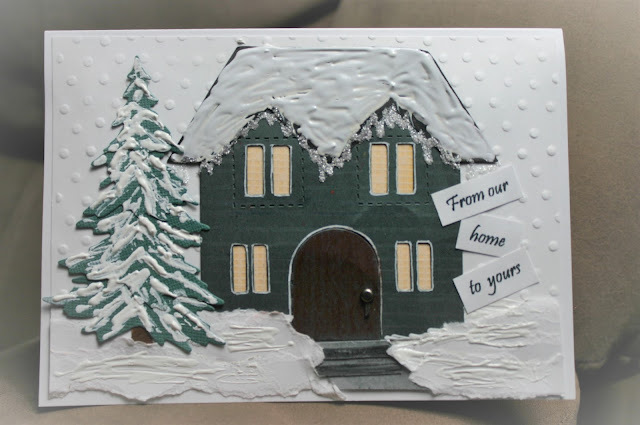 I added dimensional paint along the edges of all of these and then layered everything on a snowflake patterned paper. 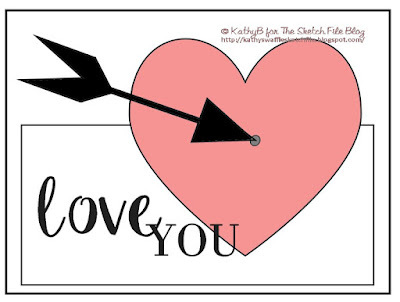 I hope this card will inspire you to visit the The Sketch File where you can take a peek at Kathy's beautifully crafted, elegant card. 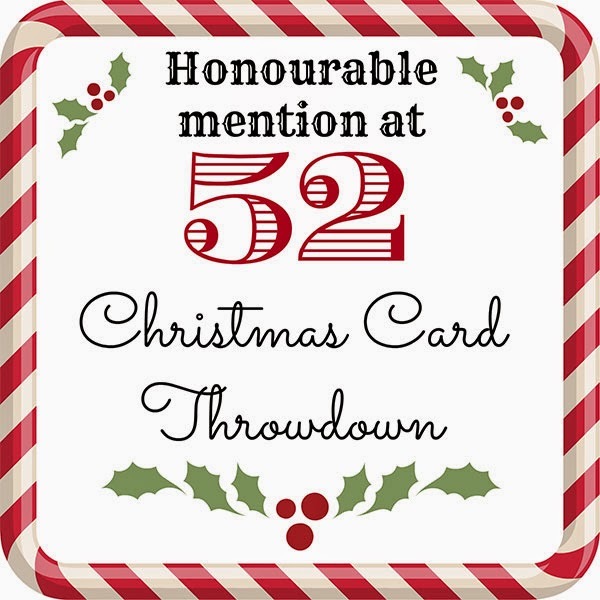 I also hope you will be inspired by our cards and will post your own creation with us (HERE). Hello and welcome to my crafty corner. I hope you will be inspired by what you see and will visit often. Thanks for stopping by. 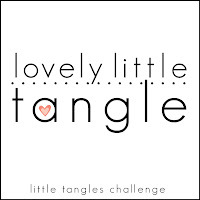 I'm a Design Team Member at The Sketch FIle, please join us for our monthly challenges! We'll share a new sketch each month and offer new inspirational creations every Tuesday. for Peacock Card from my post: Is this Weird or What? 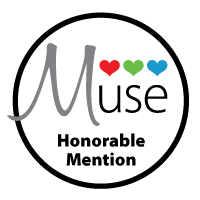 I was a March honorable mention. Thank you for visiting! I appreciate your comments and hope you will come back again and again. I have a wonderful, loving husband and terrific son. They are the center of my life and often my inspiration. We share a love of literature, music, art, hiking, biking, travel and anything that brings us together. Crafting has always been my passion. 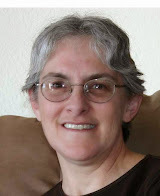 I have dabbled with crafts since I was a child and enjoyed painting, quilting, crocheting, repurposing objects, making ornaments, and more. My current love for papercrafting started about ten years ago, when I was first introduced to scrapbooking. What began as an interest in scrapbooking grew into cardmaking and more papercrafting. Now it seems that I can't get enough of papercrafting.